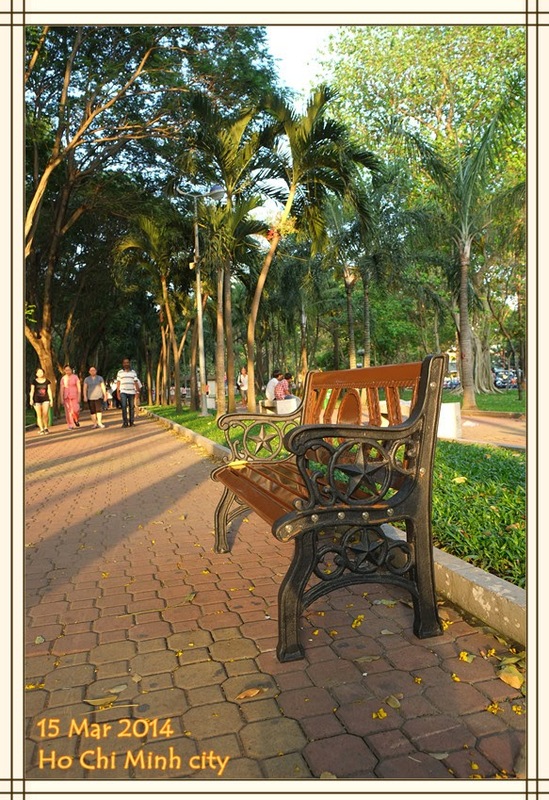 The War Remnants Museum is probably the one place that attracts the most tourists in Ho Chi Minh city. 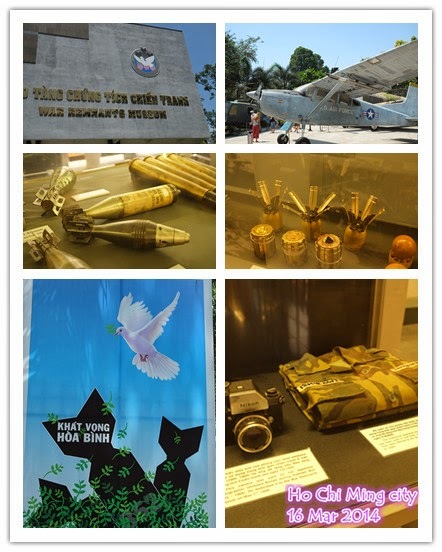 We are not really very fond of museums and know almost nothing about history (every time like this, I hope Ivan is around), but it will be a shame if we do get to know a bit more about the Vietnam war when we are in HCMC. A year ago, we were at Phnom Penh and went to the killing field and the prison, I will still feel the coldness when I think about the visit. This time, most of what we get to see are photos, and about half of them, I can only barely walk by and won’t even look. They are not war casualties or people injured by land mines. They are babies and kids born with all kinds of abnormalities as a result of the US army spraying “agent orange” in many parts of Vietnam. The agent orange is thought to be the most toxic chemical invented by human until today. Vietnam is also a communist country, and the star on the flag feels very “Communist”. When I realized that I cannot connect to facebook in the hotel in HCMC, I can only say “oh yes, it is definitely communist”. After visiting the museum, at this kind of moments, I would reflect on myself as a very politically insensitive person and do not care about these things. Time passes, some of the emotions will last inside my heart, but I am still the same person, who prefer to live in the present and seize my own moments! !